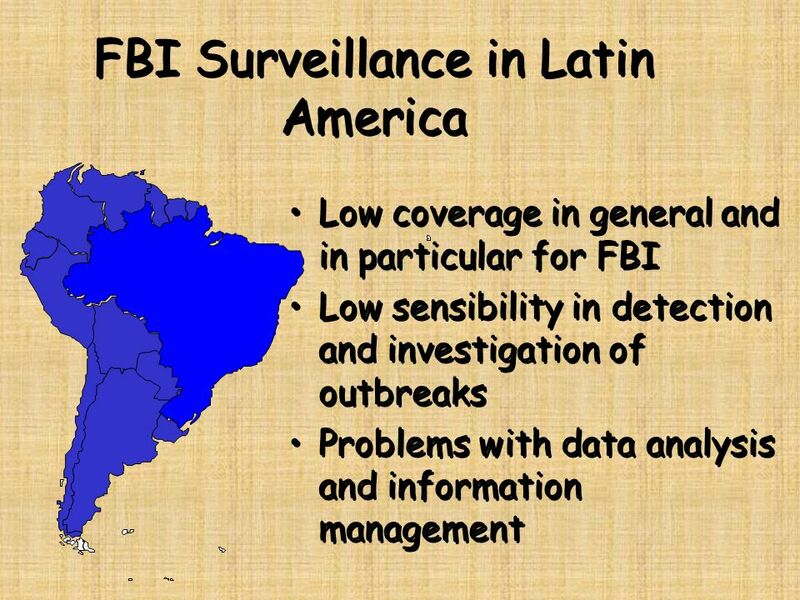 1995 – 2002 6930 reports of FBI outbreaks from 22 countries in the region. 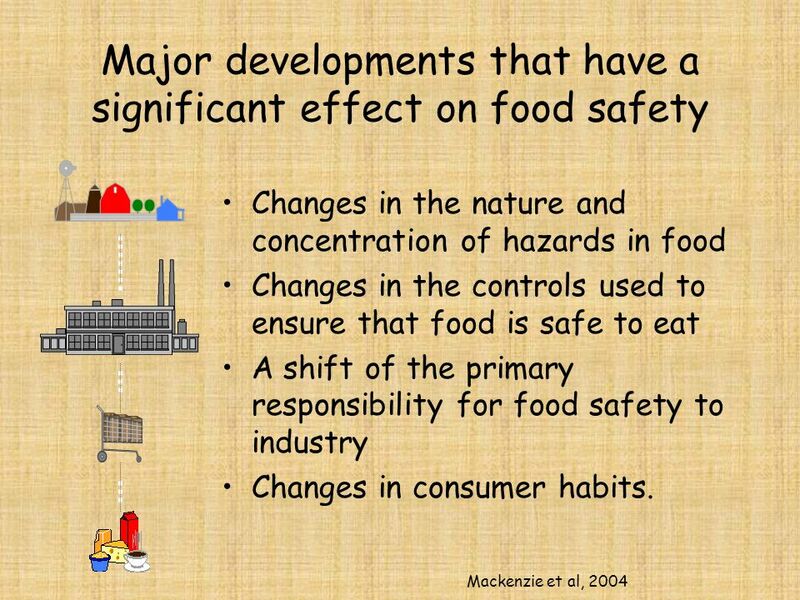 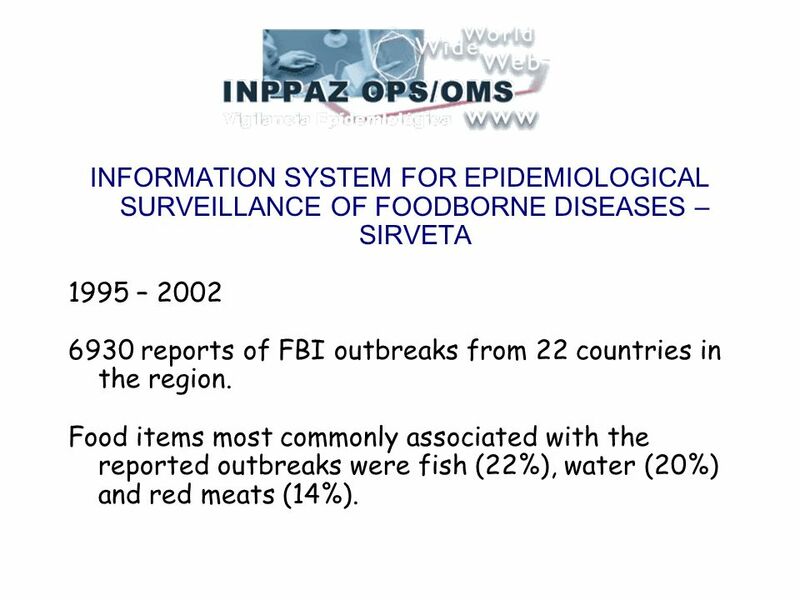 Food items most commonly associated with the reported outbreaks were fish (22%), water (20%) and red meats (14%). 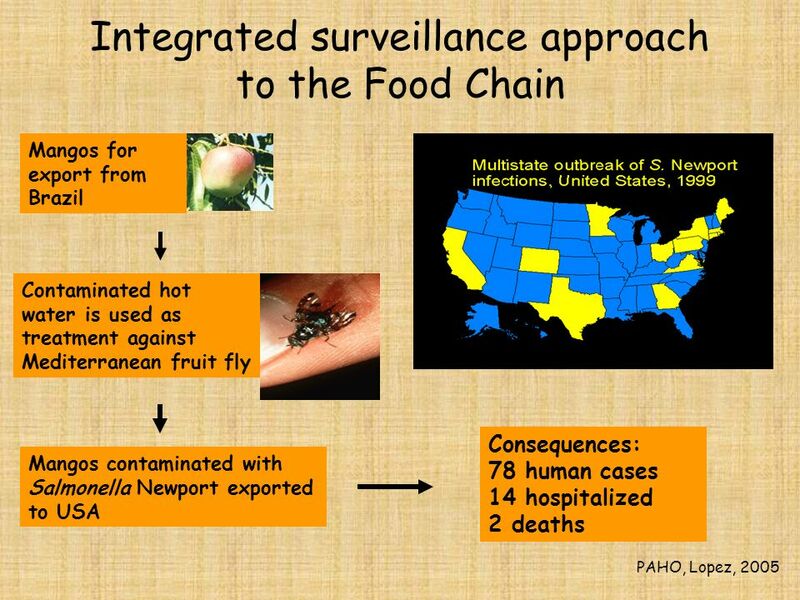 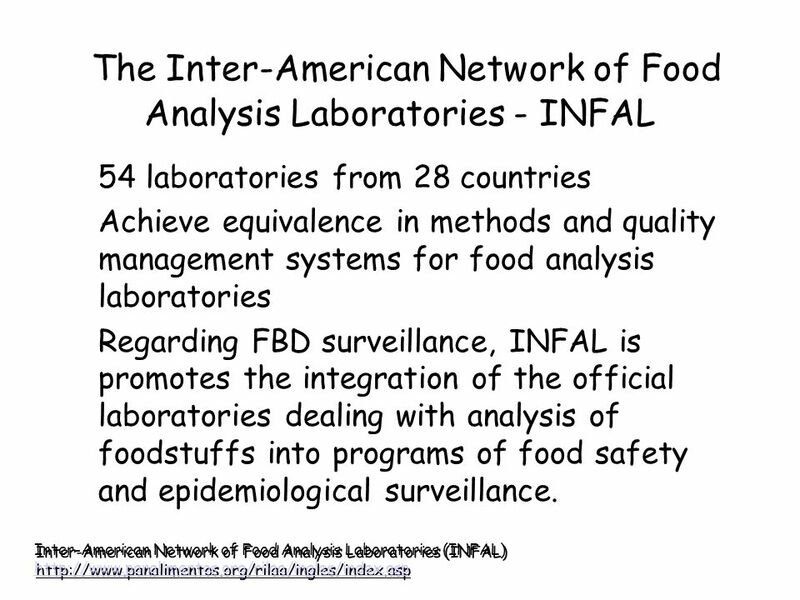 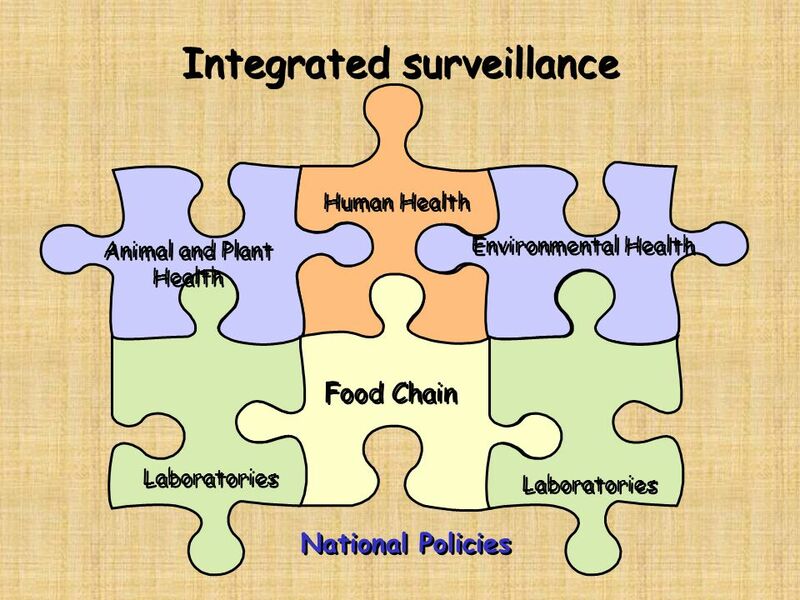 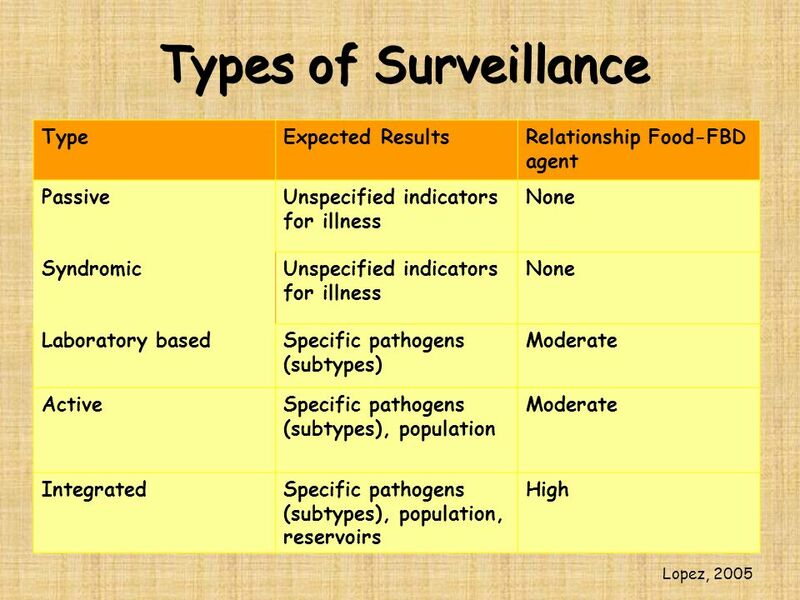 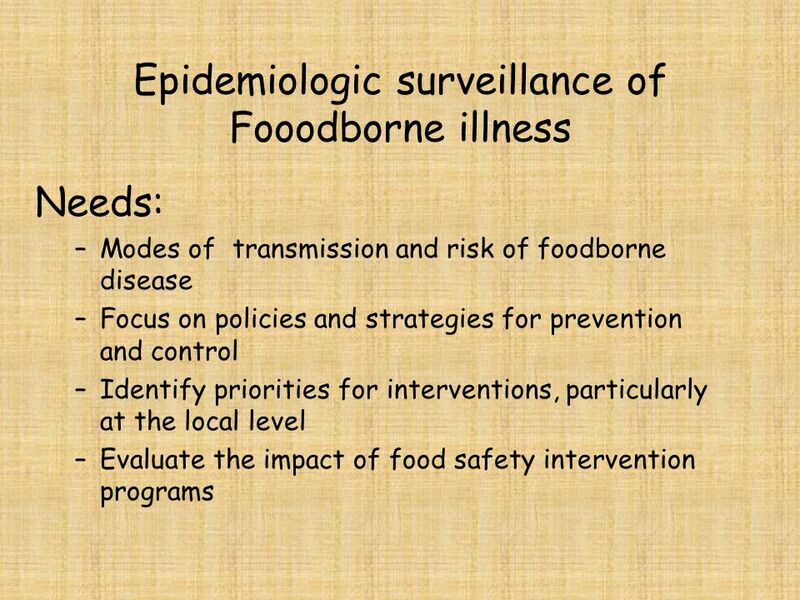 Strengthen the capability of the participating countries in the surveillance and response systems and to contribute to the global effort of containment of antimicrobial resistance of foodborne pathogens. 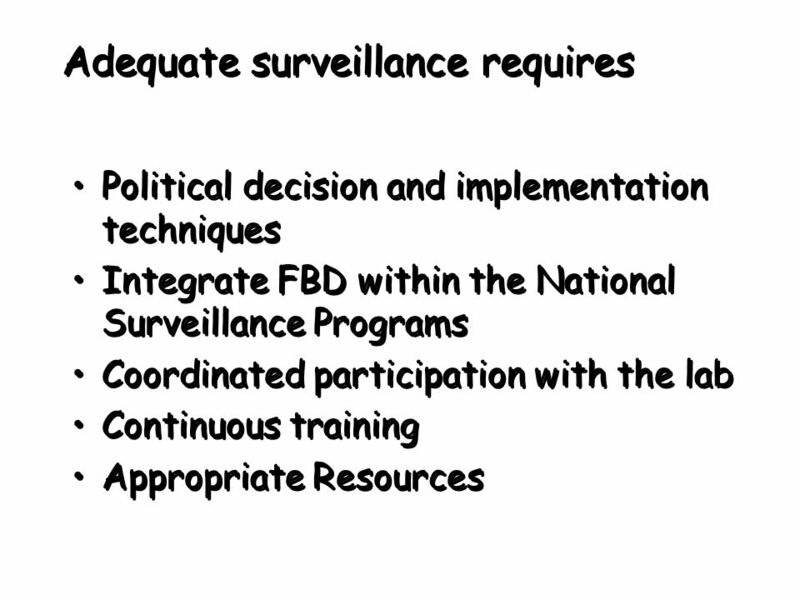 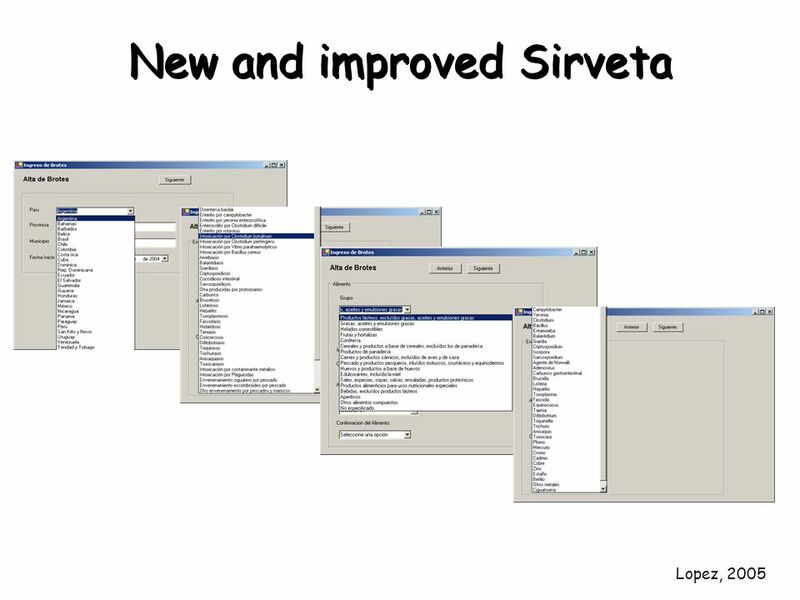 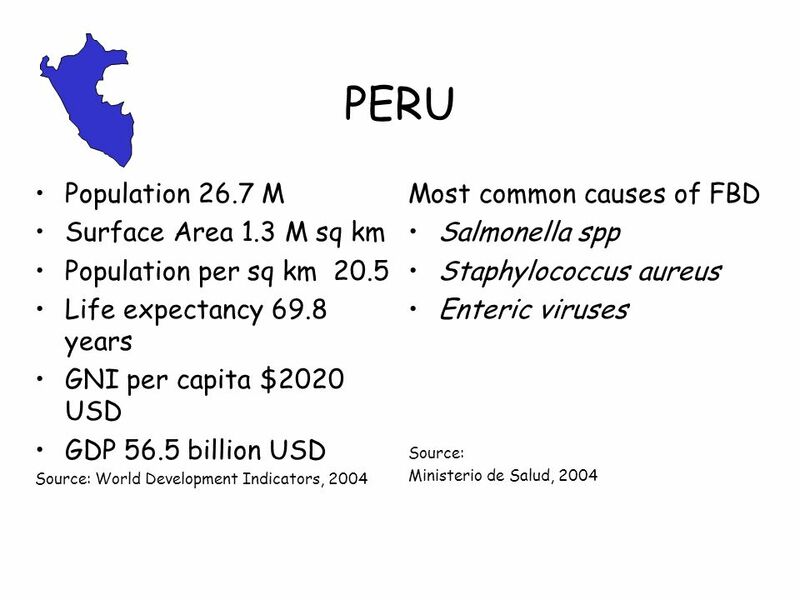 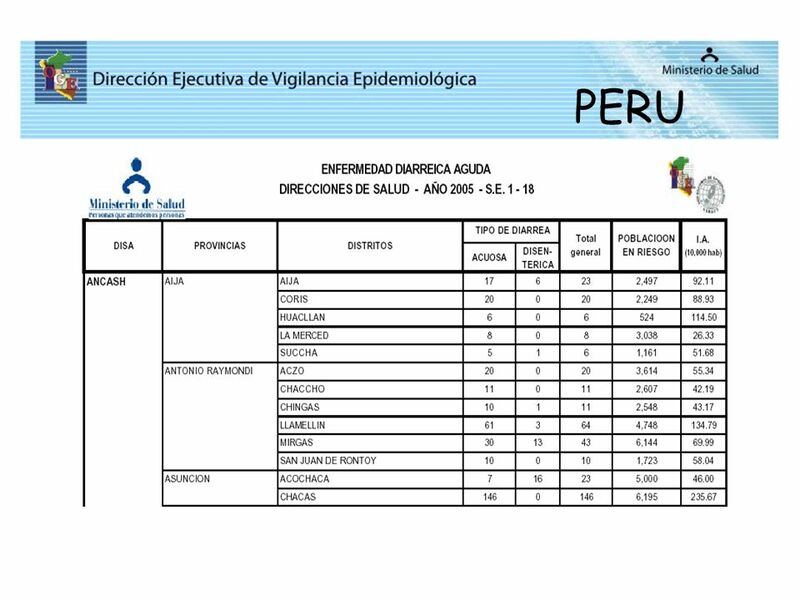 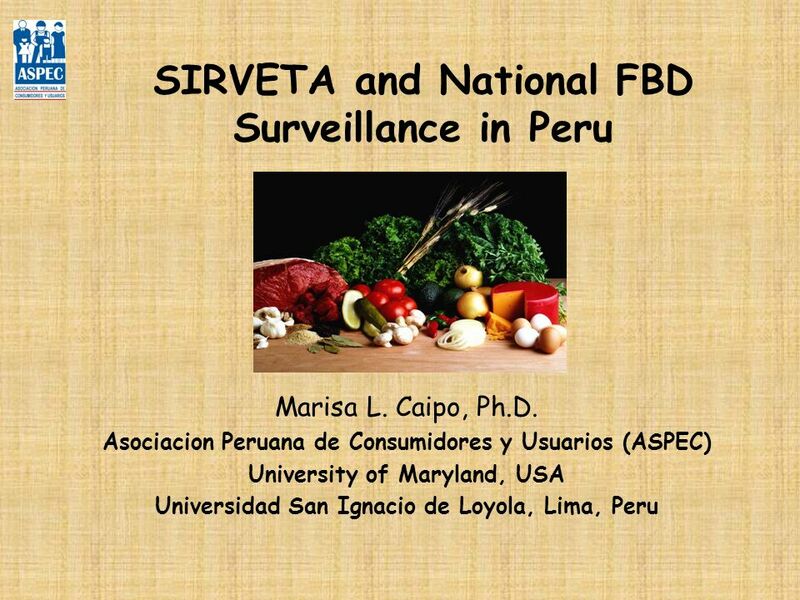 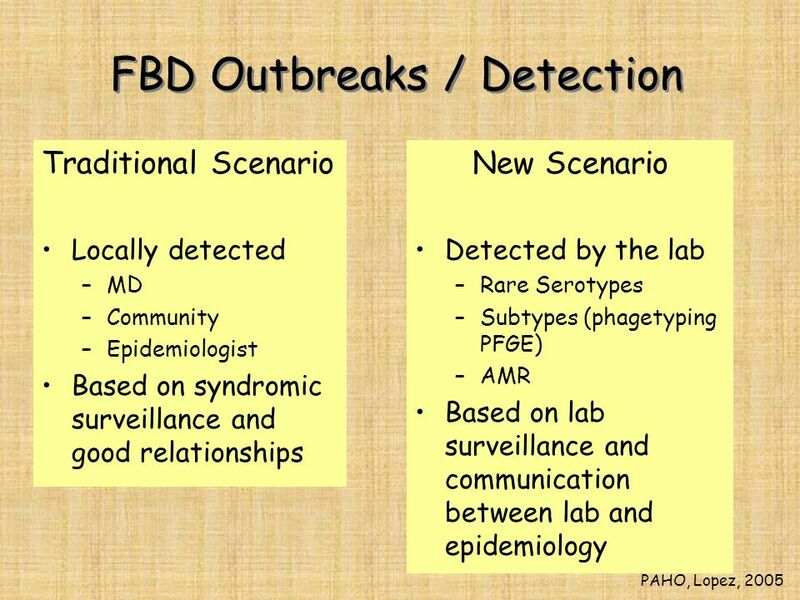 Descargar ppt "SIRVETA and National FBD Surveillance in Peru"
Gold Rules in Prevention Dr. Oscar Hernández Universidad Rafel Landívar Guatemala. 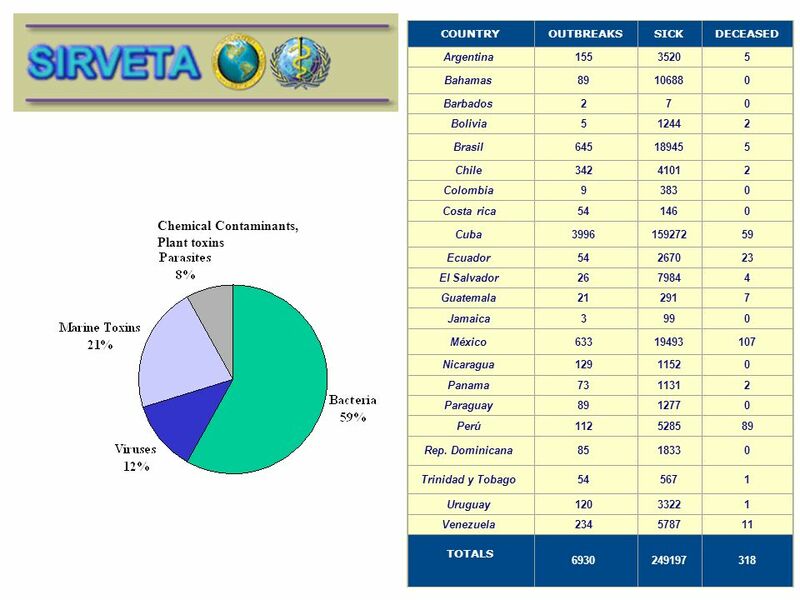 Grid Initiatives for e-Science virtual communities in Europe and Latin America WP2: Dissemination and Outreach Herbert Hoeger Universidad. 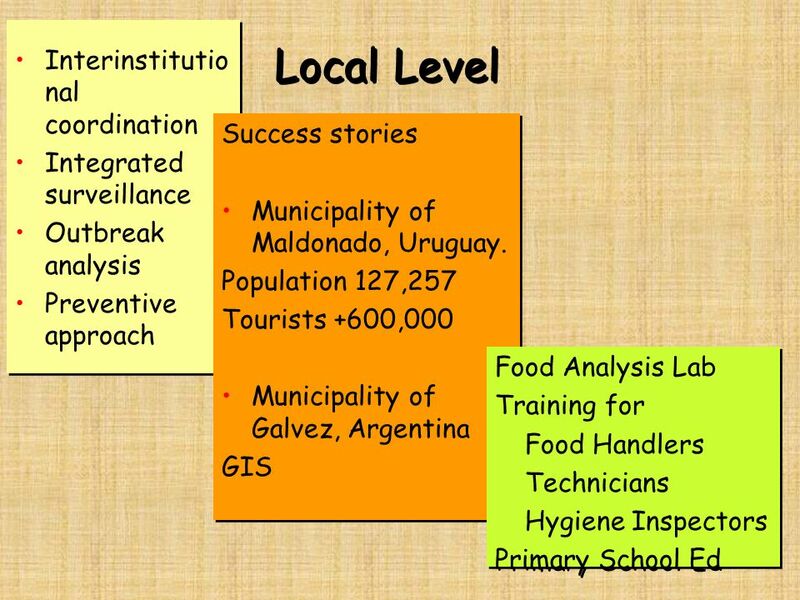 ICT Access in Latin America and the Caribbean: Revisiting the Indicators Americas Regional Preparatory Meeting for the World Telecommunication Development. 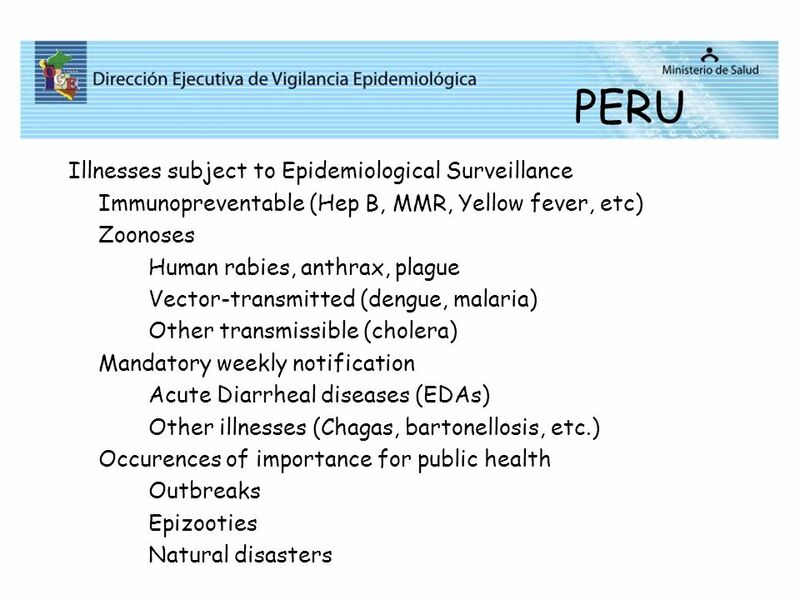 Iberoamerican National Institutes Network of Engineering and Hydraulic Research Roundtable Manuel Echeverria CEDEX Spain Millenium Development Goals on.